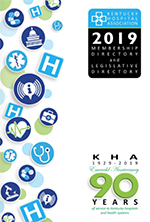 Since 1979, KHA Solutions Group has provided specialized services to hospitals, health care organizations and other industries. KHA Solutions Group’s history of success reflects the belief that the best client relationship are built upon a foundation of professionalism, integrity and personal service. For more information, visit the Solutions Group section of our website.